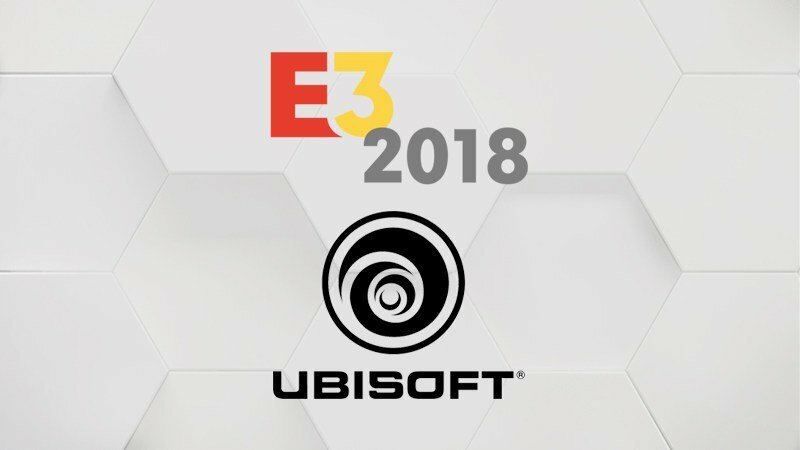 After much speculation, teasers, and the expected leaks, Ubisoft’s E3 conference has finally arrived, revealing a plethora of games coming out in the next year. Ubisoft had a tough act to follow after the success of Microsoft and Bethesda in the last few days but they most definitely held their own, offering a range of content with something to suit everyone. With limited awkward pauses and the usual microphone errors omitted, let’s take a look at what Ubisoft has to offer us. Kicking off the conference, a marching band playing various popular songs from recent years danced their way through the audience to announce the release of Just Dance 2019. This was certainly an effective way to kick things off, as the dancing panda seemed to get everyone’s attention and was a bit of a scene stealer at times. With no developer or spokesperson there, Just Dance 2019 was represented by the game’s logo on the screens behind the dancers, some of whom were carrying flags with the release date on them. Just Dance 2019 is set to hit consoles in October 2019, so hopefully, we’ll get a bit more information about what systems it will be available on closer to the time. The second game to be announced was Beyond Good and Evil 2, giving us a closer look at the setting of the prequel. The cinematic story trailer set the scene for the context of the characters as well as introduced the main antagonist. Most interestingly though, was a surprise appearance Joseph Gordon-Levitt who was representing his company Hit Record. The company is collaborating with the developers in a unique attempt to let fans of the game make their own mark. Fans will be able to collaborate through Hit Record’s website to make music and artwork which will be featured in the final game, a programme aptly named the Space Monkey Programme. There will also be a Beyond Good and Evil fest in fall this year, aiming to showcase the talent of the fans who take part in the programme. No firm release date has been given, but hopefully, we’ll get more information after the completion of the Space Monkey Programme. Basking in the success of Rainbow Six Siege’s whopping 35 million players, a representative announced a new documentary following the experiences of 8 community members of eSports teams, releasing in August later this year. Although there wasn’t any new content announced for the game, several eSports tournaments will be taking place this year, such as the Six Major in Paris this August, followed by the Pro League in November. The most interesting thing about their announcements was the documentary, which aims to increase the popularity of eSports in general. Regardless of this, it was a nice opportunity for the developers to celebrate the influence and commitment of their community, even if there wasn’t a huge announcement. The development team behind Trials Rising brought back awkward stunts to the show next, riding a motorbike down the aisles and crashing into a conveniently placed wooden podium with a monitor just waiting to be smashed. After the theatrics, Trials Rising was announced, boasting iconic and beautiful new locations, tutorials, and a closed beta. Not only is Trials Rising set for a release date in February 2019, but it’s also coming to the PS4, Xbox One, PC, and the Switch. Next to be announced was the much anticipated The Division 2. The setting is a haunting vision of a post plague-ridden America, one which is dealing with the aftermath of a nationwide smallpox outbreak which caused society to crumble into fighting factions. The game not only includes a promising main storyline but also complex co-operative online multiplayer. The Division 2 will reward players for completing the main story, offering them the chance to pick a speciality for online play which further develops your character and unlocks unique weapons and skills. In addition to this, players will be able to participate in 8 player raids. And on top of all of this, the first year will include 3 sets of DLC which include story missions and more weapons for free. The Division 2 is set to launch on the 15th of March 2019. The Mario + Rabbids team return this year after the surprising success of the Switch game to promote the first piece of downloadable content, Donkey Kong Adventure. The announcement featured a live band playing over a cinematic trailer, showing off new features and arenas to fight your way across with Donkey Kong and the Rabbids. Although there wasn’t a whole lot of information, we were able to see new weapons, enemies, and powers that players will be able to use against the Rabbid enemy. The expansion launches on the switch on the 26th of June and is available to season pass holders from the 25th of June. In keeping with the recently renewed interest in pirates, we got a new glimpse at Ubisoft’s Skull & Bones. A much grittier version of Sea of Thieves, this game seems to offer much of the same in a much darker setting. You will be able to hunt down NPC merchants, form (and break) alliances with other players, and customise your ship. With similar ship combat to that of Assassin’s Creed IV, the ships themselves will be unique in their abilities and strengths depending on their type and upgrades. While it remains to be seen if Skull & Bones will make any more of an impact than its competitors, it’s launching sometime in 2019 and promises to be the Pirates of the Caribbean game we’ve always wanted. Following suit with the celebratory appearances, Elijah Wood appeared to promote the upcoming psychological thriller Transference, which he helped to create with his company Spectrevision. The game seems more akin to a horror than a thriller, as you utilise the ability to see through others’ perspectives in order to escape danger and solve puzzles. Although seemingly more suited for VR, this perspective-shifting thriller will be available on “conventional” consoles in Fall 2019. After their chilling trailer, I think this is a game we will definitely need to find out more soon. Ubisoft got to show off their connections to Nintendo once again during their announcement of Starlink: Battle for Atlas. Set in the Atlas star system, players will play with a team of heroes fighting against the empire as well as discovering planets, local factions, and forging alliances. Surprisingly, Starfox makes a triumphant return to consoles in the switch version of the game, leaving owners of the PS4 and Xbox One version without. With a quirky art style, seemingly open world, and plenty of charm, Starlink will hit all available consoles on October 16th this year. After the dwindling success of For Honor, the developers were proud to announce a new expansion to the game. Marching Fire will include a new Chinese faction to play as, including 4 new fighters as well as single player content to enjoy. In addition, a new 4v4 castle breech mode will allow players to fulfil their medieval fantasies of defending and sieging a castle in the intense looking new game mode. For Honor: Marching Fire will release on the 18th of October later this year. In addition to new DLC, For Honor is also free to download from Uplay from the 11th to the 18th of June, in an attempt to encourage new players to get into the game. The penultimate announcement of the conference was the release of The Crew 2. Releasing very soon on the 29th of June this month, The Crew 2 offers new vehicles, terrains, and gameplay for the multi-vehicle motorsports game. The open beta is available on the 21st of this month on PC, PS4, and Xbox One. Last, but certainly not least, Ubisoft revealed their most anticipated game of the conference as their grand finale. Not only did they show off an extended cinematic trailer to rival their 5-second teaser trailer, we also got to see some pre-alpha gameplay footage. Boasting dialogue choices, romance options, a choice of two characters (male and female), and large open battles, Odyssey is set to take the series to new heights. Set in 431 BC during the height of the Peloponnesian War, you will play as a Spartan mercenary fighting against the oppression of the Athenian Empire. Ubisoft seems to be taking the series in a new direction and, judging on the pre-alpha gameplay, Odyssey seems set to overtake Origins as the most hyped I’ve ever been about an Assassin’s Creed game. Odyssey will release on PC, PS4, and Xbox One on the 5th of October this year. That wraps things up for Ubisoft for E3 2018, and they certainly delivered! With a solid line-up of games on offer, Ubisoft seems to be catering for a variety of gamers this year with something for everyone available. As for my take, Assassin’s Creed: Odyssey blew my socks off, so it might be some time before I stop going on about it to my friends. What was your more anticipated announcement from UbiE3? Let us know in the comments, and keep an eye out for our coverage of the rest of E3!